At LaCie, we combine design and technology to result in products that are both beautiful and performance-driven. We work hard to make your digital life better. We want you to feel confident when you use LaCie’s products. It’s easy to replace a keyboard, processor, or printer but not your data. Your life is on your hard drive; you need to be able to back up to a second place easily, and feel like you’ve made the best choice for your data’s safety and security. 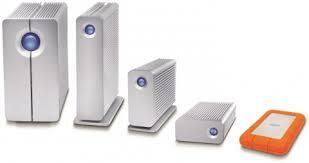 LaCie offers you this choice through its products and our new service Wuala.